The buddy System was a feature that was never really supposed to be within Pokemon GO. Instead, it was created and added based on the feedback niantic received from a number of players with the same complaint of only ever finding one Pokemon of a given species and not being able to obtain the necessary candy in order to evolution said Pokemon. But with the Buddy System, players now had a perfectly simple way to obtain Candy for Pokemon that they caught one species of. Essentially, if a player could obtain just one of the first stage evolution of any Pokemon Chain, they now had a way to obtain all the Pokemon in that Chain with the Pokemon Candy earned from the Buddy System. However, as some time has passed since the buddy System was added, many expert players have found alternate uses for the Buddy System besides for the main point of filling up their Pokedex. Instead, these players use (sometimes called abuse) the Buddy System in order to gain loads of xp simply by obtaining quick Candy for Pokemon that don’t need many to evolve. They even use the buddy system to gain more Candy to further enhance the power of their best Pokemon in storage. And because of these wise individuals, we’ve decided to construct a list of the Best Pokemon Options for the Buddy System so you too can be among the best at Pokemon GO. All of the Pokemon we list will have some sort of niche and advantage when it comes to using the buddy System. This may have to do with the Pokemon they evolve into or even the rarity of their evolution Chain, or even because they can help gain loads of xp through low-level Evolution Costs, but each of the Pokemon we will share have something special to them in regards to the buddy system. If you think of any we missed or have another technique with a given Pokemon species with the Buddy System, you can tell us all your thoughts in the Comment Section below each page of this article. And with that, let’s begin with your tenth best option for the buddy System! When most Pokemon GO Players think about the buddy System, they don’t necessarily ever think of pidgey as a great option. 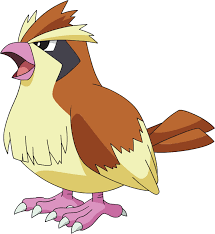 But hear us out on this one… Yes, Pidgey is among the easiest Pokemon to find in the Overworld, and they also are among the cheapest to evolve with the low, low cost of only 12 Candies. And this is why so many players save as much Pidgey Candy as they can, as well as many Pidgey themselves, and then use a lucky egg to so-called “spam” Pidgey evolutions to gain loads of xp. With this method that almost every Pokemon GO Players uses, whether an expert or novice, a player can obtain 1,000 XP for every Pidgey they evolve during this 30-minute “spam” lucky egg period. However, with the buddy System, players can gain further pidgey Candy by merely walking. Pidgey is among the few Pokemon that only need to be walked one kilometer per candy in the buddy system, so players can quickly gain a lot of Pidgey Candy. And the more Pidgey Candy a player has, the more Pidgey they can save up in order to evolve during a Lucky egg. This method will aid you into being able to evolve a few extra Pidgey here and there during these spam sessions, which will in turn give you more XP. This Buddy Pokemon Method is really only used by players after finishing their Pokedex to the best of their ability, allowing them to further chase their dream of reaching Trainer Level 40. Very similar to pidgey, eevee is another Pokemon that doesn’t require much Pokemon Candy in order to evolve it. However, since it doesn’t appear in the Overworld as much as Pidgey does, and since it does require double the amount of Candy in order to evolve compared to Pidgey, Eevee can’t really spam a Lucky egg like Pidgey can (at least not to as great of an extent). But one thing Eevee does have over its feathered-friend is that it only needs to evolve once to be in its final stage, as well as the prosperous advantage of said evolutions being better than anything Pidgey could ever evolve into (including its final stage evolution of pidgeot). And because of this, eevee makes a great option for a buddy Pokemon. Sure, it does take walking five kilometers to get just one Eevee Candy, but for the powerhouse Pokemon that Eevee can evolve into, it’s well worth the time and trouble. 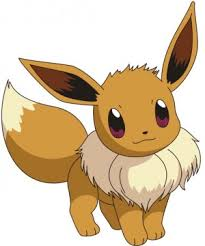 On top of that, Eevee actually needs to be walked as a Buddy Pokemon in order to evolve into Espeon or Umbreon (if a player desires to have more after using the Nickname Trick). If a player walks ten kilometers with an Eevee as their Buddy Pokemon, they can evolve into Espeon if done during the day and Umbreon if done at night. Umbreon might not be worth walking an Eevee as your Buddy, but since Espeon is the best Psychic Type in Pokemon GO, it definitely is.